The Hermès Birkin – The ultimate status symbol of luxury and extravagance that boasts the elite requirements of years-long waitlists and a five-figure price tag. However, that very extravagance and polished beauty are reportedly causing a lot of pain and suffering to animals. On Tuesday, PETA released an investigation of an alligator factory in Winnie, Texas that implements inhumane practices of animal abuse, including slaughtering crocodiles while they’re “still conscious and able to feel pain.” The factory allegedly then sends the skins to an Hermès-owned tannery, where it takes two or three crocodiles to make just one of the coveted bags. Upon hearing the disturbing news, Birkin herself released a statement, asking for her name to be “debaptized” from the bag. “Having been alerted to the cruel practices endured by crocodiles during their slaughter for the production of Hermès bags carrying my name … I have asked Hermès Group to rename the Birkin until better practices responding to international norms can be implemented for the production of this bag,” she said. In response, Hermès released a statement saying it will investigate the Texas farm to make sure that it is compliant with all rules and guidelines. “Her [Birkin’s] comments do not in any way influence the friendship and confidence that we have shared for many years,” the statement read. 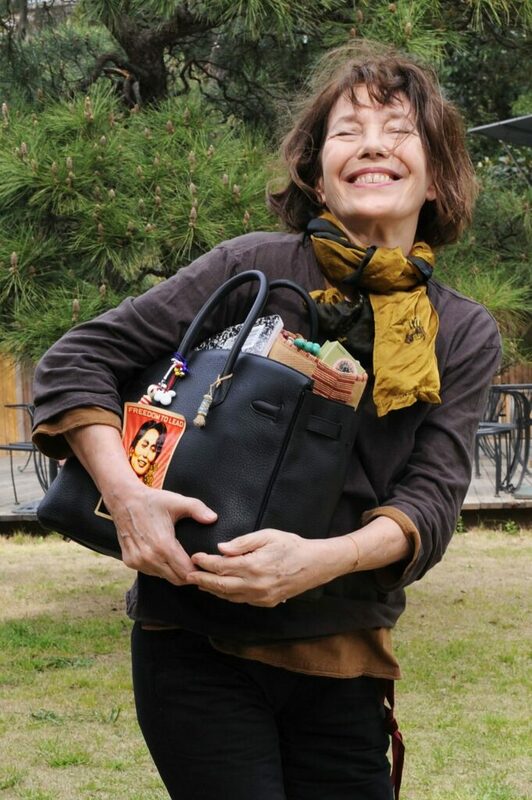 The story of the prestigious handbag began when Birkin, the English actress, singer and all-around It girl, was on a flight from Paris to London in 1981. After the contents of her bag spilled over the aisle, she struck up conversation about how to construct a better tote with her neighbor, who happened to be the CEO of Hermès. And thus, the iconic Birkin bag was born.